Home › Detoxification › Are Detox Diets Really Necessary? It’s true that the food we eat and the environment we live in contain many different toxins. Detoxification, the body’s natural process of filtering and eliminating toxins, is a topic that comes up quite a bit in the worlds of health and wellness recently, but many people don’t know much about how it works or what it can really do for them in understandable terms. I’d like to share with you the science behind detoxification, what detoxification can do for you, and what it means to your health and longevity. 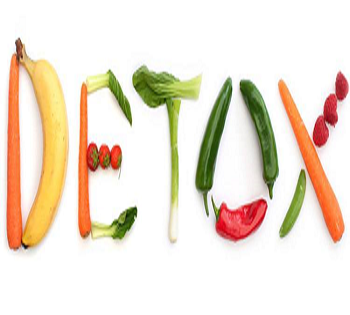 Detoxification is simply the body’s natural process of removing toxic substances from the body and blood. The idea of cleansing one’s body of toxins has been practiced since the ancient Egyptians and Greeks, who believed that food remnants could linger in the body and produce harmful toxins. Their guess wasn’t too far off, especially since they had the idea thousands of years ago, but we now have access to science that tells us exactly how toxins accumulate, what we can do to remove them, and how this helps us. One misconception about body detoxification is that it is not necessary because the body detoxifies itself. The body actually does detoxify itself; the problem is that its abilities to remove toxins are often overloaded by the sheer volume of toxins we encounter. According to Pure Earth, a non-profit pollution cleanup organization, toxic pollution affects more than 200 million people worldwide and the U.S. Environmental Protection Agency (EPA) performed a study that said about 6 billion pounds of pollutants are released into the environment each year. As if that wasn’t enough, researchers are now concerned with the tremendous amount of xenobiotics (a fancy word for pharmaceutical medications) that are released into our water supply. This happens indirectly when we pass the ingredients through our waste, or by simply disposing old medications into our sewage treatment plants that were never designed to filter these types of complex chemicals out of the water supply. Ultimately, these chemicals proceed into the rivers and eventually end up in the food chain. Physiologically, cells become damaged through the process of oxidation, and oxidation leads to the creation of harmful free radicals. Why is this concerning? When a cell is damaged by free radicals and not treated and repaired, that cell’s structural integrity can degrade and the DNA code can be altered. Examples of this process can include deterioration of the eye lens or nerve cells in the brain, inflammation within your joints, and even certain types of cancers. The body utilizes its natural antioxidants and enzymes to neutralize free radicals and repair damage, but these natural defenses can be overwhelmed. The liver, skin, and gut are the body’s primary defense systems against toxins as they protect, filter, and eliminate toxic substances from the body. Ultimately, the goal is to keep these chemicals from entering the blood stream. Other major organs help out, like the kidneys that clear toxins in the form of urine and the colon’s chemical-producing bacteria that helps flush out toxins, but the liver is crucial to the body’s natural abilities to detoxify. The liver has two phases of detoxification, called Phase I and Phase II. Phase I softens the toxins by starting a process of converting the toxins from fat soluble to water soluble. In Phase II, the liver continues to process and transform the toxins into water soluble byproducts so that they are more easily flushed out when filtered and eliminated through the kidneys. In an ideal world, we would consume relatively few toxins (like our ancestors) and our body’s innate detoxification processes would remove them for us and we would be free of many chronic diseases and conditions. However, this is not the case in the real world. Some of you may think, “What about me? I doubt I have a bunch of toxins in my body. I feel fine!” But you would be surprised at how many sources of toxins surround us at all times and how hard it is to avoid them. For instance, if you eat farm-raised salmon or tilapia, it may be exposing you to toxic Polychlorinated Biphenyls (PCBs) that can cause cancer and remain in your body fat for years. A 2010 California lawsuit claimed that certain fish oil brands contained PCBs, so always be sure to buy trustworthy fish oils. Eating non-organic food exposes you to another major toxin – pesticides. Pesticides are troublingly common in our environment, with the EPA estimating that 877 million pounds of pesticides were used in the U.S. in 2007 alone. Pesticides can put us in danger of developing neurologic, reproductive, and genotoxic (genetic) health concerns and the Stockholm Convention on Persistent Organic Pollutants says that 9 of the 12 most dangerous and persistent chemicals in existence are pesticides. Common signs of toxic buildup include a sense of “poor health,” nausea, “brain fog” and mental confusion, irregular bowel movements, bloating, irritability, difficulty sleeping, puffy eyes, dull skin, fatigue, and mood swings. A detoxification program, performed in the right way, can help your body to expel the excess toxins that overload your cells and organs and lead to these symptoms and many others. Here are what I consider to be the top 5 benefits of putting your body through a detoxification regimen. Exposure to toxins over time can strain the liver. This excess workload can lead to feelings of fatigue. A study published in Toxicologic Pathology determined that chronic exposure to certain environmental toxins can significantly increase the risk of liver disease. Major organs like the liver have important roles to play in your biological functions other than detoxification and when your organs are “sick” or overloaded from toxins, your overall health and energy levels suffer. Fortunately, a detoxification program provides optimal nutritional support to help the liver heal and cleanse itself. Detoxification also makes you feel more energetic since you are typically cutting out things like sugar, caffeine, trans fat, and saturated fat. Remember that a detoxification program won’t boost your energy levels through the roof; it simply helps restore your body’s normal function. This alone can make a world of difference! Another misconception about detoxification is that it is primarily about losing weight. As you’ve learned, detoxification is about supporting the body’s natural ability to remove unwanted toxins. But, as an added benefit, most people do find that they lose weight during (and often after) a detoxification program. A study from the University of California – Irvine found that chemical pollutants and toxins promote obesity by altering homeostatic metabolic set-points and disrupting appetite controls. Many of those who have tried detoxification programs claim that the “clean” feeling they have while detoxing helps them to re-evaluate their day-to-day food and exercise choices even after they stop with the detox. Based on what we’ve learned about detoxification, this makes sense. Researchers have found that detoxified organs can better absorb crucial immune-supporting nutrients like vitamin C since they are not working overtime to filter out the overload of toxins, leaving you with a better-functioning immune system. Just like your major organs, the immune system has responsibilities other than just detoxification. When it is freed up to perform those other functions, it is more effective in warding off sickness and keeping you healthy. Another organ that benefits greatly from having fewer toxins to deal with is the most crucial of all – the brain. Dr. David Bellinger, at Harvard Medical School, estimated in his recent study that Americans have collectively forfeited 41 million IQ points due to exposure to toxins like lead, mercury, and organophosphate pesticides. Researchers at the University of Calgary also found a link between toxins and harm to the brain when they determined that exposure to heavy metals like mercury can alter the cell membrane structure of developing neurons. Fortunately, it’s never too late to start cleansing your body. Detoxifying the brain has the potential to boost memory, concentration and learning. A study at Duke University Medical Center found that toxins like pesticides are possibly associated with Alzheimer’s disease and other “dirty brain” disorders. Toxins inhibit the release of acetylcholine, a chemical important for memory. By removing pesticides and other toxins from the brain, your brain’s proper chemical balance can be restored and you may find a noticeable change in the clarity of your thinking. According to a study published in Trends in Molecular Medicine, about 70% of what ages us is our lifelong intake of toxins. The mitochondria in the body’s cells, responsible for energy-production and metabolic processes that keep you feeling young, are damaged when exposed to toxins. Many academics and researchers theorize that the aging process is directly related to free radical levels present in the body. For instance, free radical activity in skin collagen accelerates skin aging, while a study published in Clinics in Geriatric Medicine says free radicals are also responsible for the functional decline in aged brains. Through detoxification, you can reduce your toxin level, which leads to fewer free radicals, which results in less damage done to crucial organs. They say that age is only a number and, when you free yourself from toxic burden, the saying is truer than ever before. Now that you know more about detoxification and how it can help your wellbeing, I hope you will see what a detoxification program can do for you. It takes time, effort, and a little financial investment, but the feeling of a clean body and mind is invaluable. Those who take the time to detoxify their bodies usually find that they build positive “momentum” in making healthier choices for their lives. I encourage you to consider a detoxification program, such as our own 21-Day Detox Bundle, if you’d like to experience firsthand what a detox diet can do for you. While a basic detox diet is one that may be as simple as eating fruits and vegetables, the benefit of a quality, comprehensive program like this one is that it is structured, researched, and it provides you with all of the nutritional supplementation that your body needs when going through a process like this. The foundation for this program is based on supporting the Phase I and Phase II detoxification processes of the liver while also providing general nutritional support. Adequate dietary fiber intake is essential during detoxification to support regular movement of the bowels and elimination of toxins. Green leafy vegetables and grasses can help support healthy body pH balance (in addition to providing a great source of vitamins, minerals, and antioxidants). The human body functions best when a slightly alkaline (basic) environment is maintained. Unfortunately, many Western diets are high in acid-producing foods that may increase the risk of disease. To learn more about how our 21-day detoxification program can help you to purify your body and feel cleaner than ever before, check out its page at Oakway Naturals by clicking here. You will find a link to the program’s handbook, as well as additional info about each product included in the program and how they help during the detoxification process. If you prefer a shorter program, I also like Designs for Health’s PaleoCleanse Plus 14-day detox. It uses high-quality and effective ingredients and is designed to be as convenient as possible. Everything in the PaleoCleanse Plus program comes in single serving packets, which makes it ideal for those with busy lives or who have struggled to follow through on detoxes in the past. I hope this article helps you start a new, cleaner chapter in your life. If you have any questions about the products or suggestions discussed here, or need help placing your order, our customer service team is standing by and ready to assist you in any way they can. You can reach them by phone at (888) 460-3091 or you can email them at: customerservice@oakwaynaturals.com. Dr. Gittins’ 21-Day Detox Bundle is a proven, scientifically-backed detoxification program that is intended to assist and accelerate your body’s natural detoxification processes. What this program does is help your body remove these impurities to help you feel younger, healthier, more energetic, and mentally sharper. Detoxification, the body’s natural process of filtering and eliminating toxins, is a topic that comes up quite a bit in the worlds of health and wellness recently, but many people don’t know much about how it works or what it can really do for them in understandable terms. 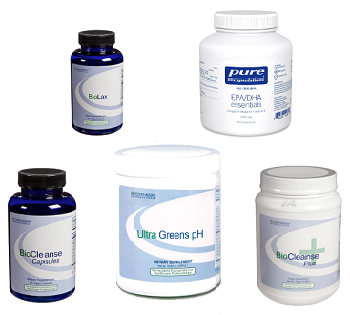 Detoxification is simply the body’s natural process of removing toxic substances from the body and blood. One misconception about body detoxification is that it is not necessary because the body detoxifies itself. The body actually does detoxify itself; the problem is that its abilities to remove toxins are often overloaded by the sheer volume of toxins we encounter. Common signs of toxic buildup include a sense of “poor health,” nausea, “brain fog” and mental confusion, irregular bowel movements, bloating, irritability, difficulty sleeping, puffy eyes, dull skin, fatigue, and mood swings. Exposure to toxins over time can especially strain the liver since it is the primary toxin-removing organ. This excess workload can lead to feelings of fatigue. Fortunately, a detoxification program reduces the toxic burden on your organs and frees them up to perform their usual, diverse functions. Although detoxification should not be primarily marketed as a weight loss tool, most people do find that they lose weight during, and often after, a detoxification program. Many of those who have tried detoxification programs claim that the “clean” feeling they have while detoxing helps them to re-evaluate their day-to-day food choices even after they stop with the detox; increased levels of energy that one can achieve through detoxification also contribute to weight loss. Researchers have found that detoxified organs can better absorb crucial immune-supporting nutrients like vitamin C since they are not working overtime to filter out the overload of toxins, leaving you with a better-functioning immune system. Detoxifying the brain has the potential to boost memory, concentration and learning. A study at Duke University Medical Center found that toxins like pesticides are possibly associated with Alzheimer’s disease and other “dirty brain” disorders. According to a study published in Trends in Molecular Medicine, about 70% of what ages us is our lifelong intake of toxins. The mitochondria in the body’s cells, responsible for energy-production and metabolic processes that keep you feeling young, are damaged when exposed to toxins. It takes time, effort, and a little financial investment, but the feeling of a clean body and mind is invaluable. Those who take the time to detoxify their bodies usually find that they build “momentum” in making healthier choices and are usually less likely to eat and live as “dirty” as they did before the detoxification, even when the program is over. While a basic detox diet is one that may be as simple as eating fruits and vegetables, the benefit of a quality, comprehensive program like ours is that it is structured, researched, and it provides you with all of the nutritional supplementation that your body needs when going through a process like this. To learn more about how my 21-day detoxification program can help you to purify your body and feel cleaner than ever before, check out its page at Oakway Naturals by clicking here.